The distance from Infinity by Yelken is 36 km 42 minutes. The village, once known as Kirkince, was built by the Greeks about 800 years ago, and with the population change in 1924, the Turks living in Thessalonica were settled here after the exchange. It is known to be a popular village by foreign and Turkish tourists to enjoy the traditional village life in a peaceful environment. 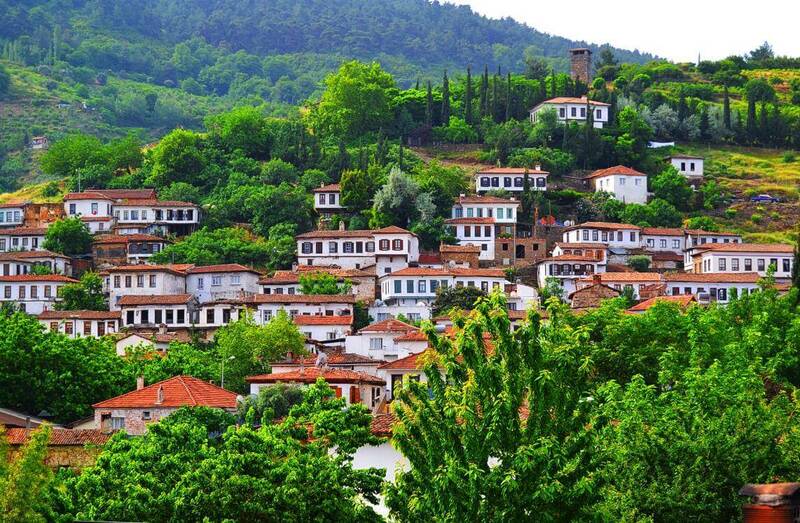 This small village, 7 km from the Selçuk Hills, is unique among lovers of old-fashioned stone houses and narrow streets, among the fruit gardens, with red tiled roofs. It is also famous for its traditional bazaar, home-made wine and lace made by local women. The name of the ugly village set by the Greeks The village, which is a story about being laid by a free Greek slave to prevent others from coming here, In 1926, the name of the village was converted into Şirince by the governor of İzmir. When the Ephesus was abandoned in the 18th century, the people in Ephesus settled in Şirince, but most of today's buildings are from the 19th century.